Biking is a perfect adventure for our honeymoon at Hilton Myrtle Beach Resort! We will rent bicycles and set out onto the streets along Myrtle Beach and discover trails and pathways while taking in the beautiful ocean views, admiring every detail along the way. Our honeymoon promises us a charming stay in the One King Guestroom with a balcony. This stylish room features a work desk and ergonomic chair, a flat panel LCD TV, fine furnishings, a mini refrigerator, a king size Hilton Serenity Bed with luxurious bedding, and a bathroom with lavish amenities. Outside on the balcony, we will sit back, relax and take in the beautiful views! We will enjoy a charming stay in the Enhanced Oceanview King Room. Our soothing sanctuary features a work desk and ergonomic chair, a flat panel LCD TV, fine furnishings, a mini refrigerator, a king size Hilton Serenity Bed with luxurious bedding, and a bathroom with lavish amenities. 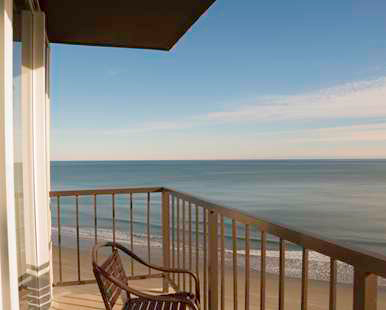 From our balcony, we will take in the fresh air while admiring views of the sparkling ocean and beyond. A stay in the Oceanfront King Room will be a lovely wedding gift. This romantic retreat features a work desk and ergonomic chair, a flat panel LCD TV, modern furnishings in warm earth tones, a mini refrigerator, a king size Hilton Serenity Bed with luxurious bedding, and a bathroom with lavish amenities. On our private balcony, we will enjoy fresh breezes while witnessing stunning views of the ocean and coastline. 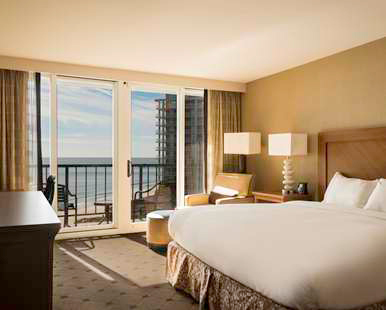 With your wonderful wedding gift, we will take delight in the stunning settings of the Oceanview King Room on our honeymoon at Hilton Myrtle Beach Resort. Our stylish sanctuary features a work desk and ergonomic chair, a flat panel LCD TV, modern furnishings in warm earth tones, a mini refrigerator, a king size Hilton Serenity Bed with luxurious bedding, and a bathroom with lavish amenities. 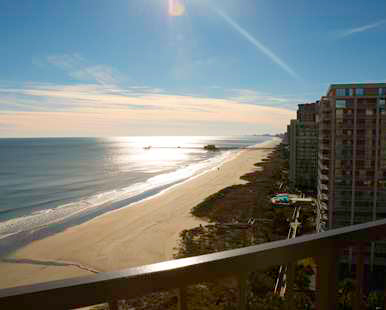 Outside on the private balcony, we will admire breathtaking beach and ocean views while enjoying the fresh air! 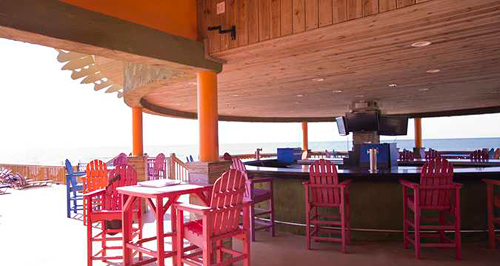 Located poolside, Beachcombers is an exceptional outdoor restaurant and bar where casual ambiance and superb ocean and pool views invite pure relaxation. 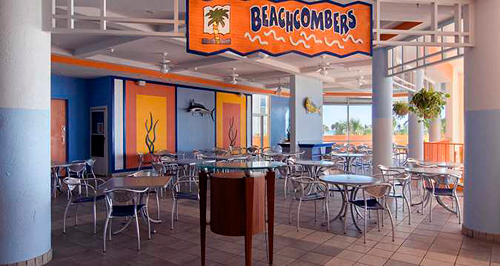 Beachcombers offers us light menu items with refreshing beverages and is open seasonally. 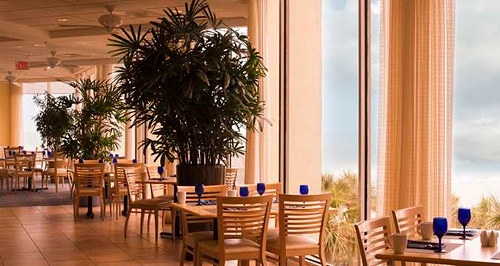 Tucked into the seaside of the Hilton Myrtle Beach Resort, the airy and romantic Café Amalfi offers us a unique oceanfront dining experience. 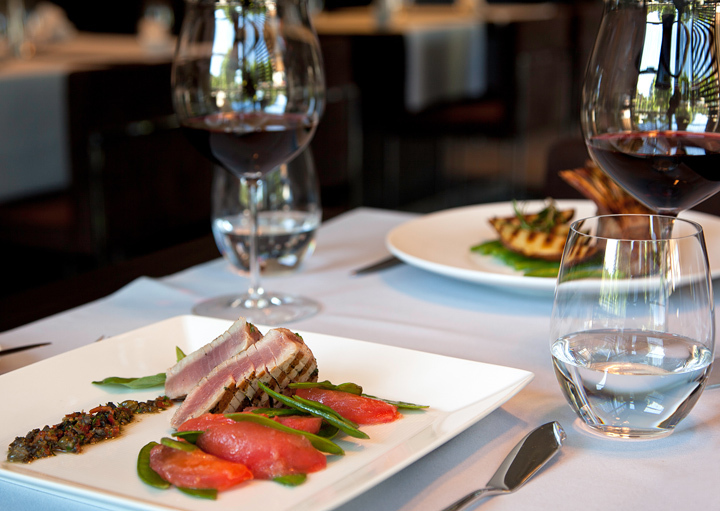 This is casual fine dining at its best so we will go and indulge in spectacular views at breakfast, lunch or dinner. On our romantic honeymoon at Hilton Myrtle Beach Resort, we will enjoy a scrumptious selection of fresh baked goods along with a cup of Starbucks Coffee, brewed daily at The Bakery. The Bakery is located in the lobby and promises us a delightful dining experience! The Veranda Bar offers wonderful ocean views, refreshing beverages and the perfect spot for us to enjoy each other’s company. 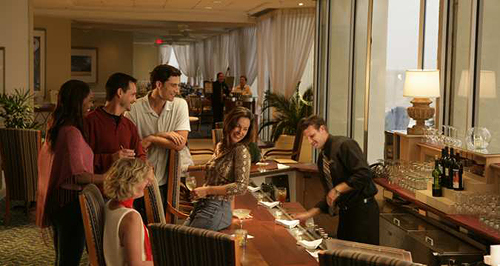 Overlooking the atrium and the expansive Atlantic horizon, this stylish bar is a terrific starting point for a fun honeymoon evening out! At Hilton Myrtle Beach Resort, Wet Whistle Poolside Bar offers a full service bar with our choice of refreshing beverages. Open seasonally, we will sit back, relax and enjoy listening to live bands while sipping the best cocktails in Myrtle Beach during the summer! The Hilton Myrtle Beach Resort promises us a romantic retreat boasting a stunning location at the north end of Myrtle Beach, South Carolina. This stylish resort allows us the chance to savor a unique dining experience with a variety of restaurants and bars, or enjoy room service. We will pick up honeymoon keepsakes in the gift shop, explore our surroundings on bicycles, or indulge in a relaxing spa treatment at the Royale Day Spa. We will create unforgettable honeymoon memories with this extra resort credit! Located at the north end of Myrtle Beach, South Carolina, this charming resort is minutes away from many attractions including Broadway at the Beach, Myrtle Beach House of Blues, and Tanger Outlet Mall. In the stylish settings of our room, we will indulge in the comforts of home and enjoy spectacular ocean views from our balcony. We will take part in a tantalizing dining experience at Café Amalfi, try the poolside restaurant Beachcombers, or sip an exotic drink at The Veranda Bar. We will unwind with a soothing spa treatment at the Royale Day Spa, allow the concierge to assist us in arranging a game of golf at one of the local courses, or take a refreshing swim in the pool. 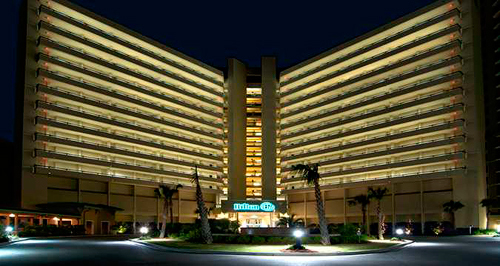 Hilton Myrtle Beach Resort will enhance our honeymoon with special touches, impressive amenities and charming hospitality! In the tranquil settings of The Royale Day Spa, I will indulge in the Natural Stone Massage on my honeymoon. Heated stones will be placed on key points of my back while I receive a soothing massage leaving me in a blissful state of mind. I will take delight in the Swedish Massage on my honeymoon at Hilton Myrtle Beach Resort. Based on European techniques, I will be pampered with the long, gliding touch of this relaxing massage to release tension and stress. My honeymoon will be enhanced with The Royale Signature Massage. In the serenity of The Royale Day Spa, I will receive a customized blend of soothing techniques from the Swedish Massage, the Deep Tissue Massage and the Stone Massage for the ultimate spa experience! Together, we will discover the special indulgence of the Couple’s Therapy Massage. While lying side by side in the spa, we will receive a relaxing massage that will leave our minds, bodies and souls in a state of pure, romantic bliss! Customized brown sugar body scrubs are designed to gently exfoliate dry skin cells leaving my skin refreshed and glowing. Warm towels will be used to remove the product so I can relax while enjoying a lavish spa body treat! On my honeymoon at Hilton Myrtle Beach Resort, I will take delight in the Foot and Scalp Treatment! In the tranquility of The Royale Day Spa, my tired feet will be refreshed with a stimulating foot scrub and reflexology massage. While my feet are wrapped in a warm soy oil mask, I will experience a relaxing scalp massage for a feeling of balance from head to toe! 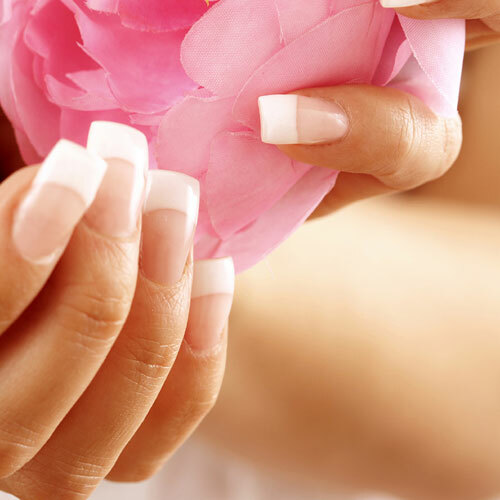 My honeymoon at Hilton Myrtle Beach Resort will be enhanced with a lavish Spa Manicure! This warm lotion manicure includes all the basics, including cuticle care, nail shaping and an application of my favorite nail polish, plus the soothing and hydrating benefits of a soy oil mask application, and a hand and arm massage! 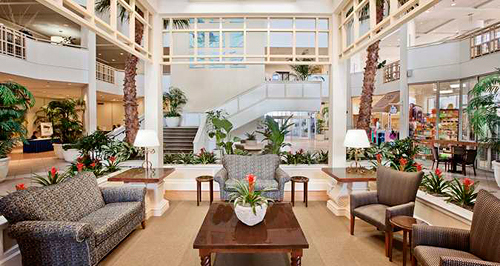 Hilton Myrtle Beach Resort promises me a luxurious Spa Pedicure! This warm lotion pedicure includes all the basics, including cuticle care, nail shaping and an application of my favorite nail polish, plus the soothing and hydrating benefits of a soy oil mask application, and a leg and foot massage! The Ritual Spa Package promises me the chance to indulge in a truly holistic experience! First, I will receive an exfoliation with a customized Ritual Body Scrub. Next, impurities will be purged with the Ritual Body Mask. This soothing spa experience will end with a nourishing Ritual Body Butter Massage and includes a gift that I can take home with me for everlasting memories. In the serenity of The Royale Day Spa, I will be pampered with The Journey Spa Package on my honeymoon. My journey will start with an aromatherapy infused Sugar Scrub, followed by their Signature Royale Massage, Facial and Royale Spa Manicure and Pedicure Combo!